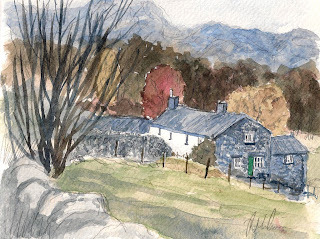 This painting is of the cottage that my wife and I stayed in. The lake district is my new favorite place! I dont think I have fully captured it, so I will probably be trying some more of these. It was a grey day, more shadows would probably have helped.